Mesa High has as rich a football history as any high school in Arizona. Boys basketball was good in the school's early years. But it really picked up in the 1980s under coach Paul Newendyke, and hasn't stopped rolling under Shawn Lynch in the early 2000s and now with Scott Stansberry in charge. It is easy to find 10 players but extremely tough to pick a No. 1. Any of the top three players can make a case for being the best basketball player in school history. Here are my top all-time Mesa High boys basketball players. Cummard came from generations of basketball players in Mesa. Just his family alone would fill a good part of the Mesa bleachers for games. He was the state's Big Schools Player of the Year in 2004 when he led Mesa to the state championship, averaging 20 points, 5.5 rebounds and 3.5 assists. He was the consummate player with great shooting range and a lethal inside game to go with it. Very tough, determined, aggressive player who carried the Jackrabbits during his years. He went on to start at Brigham Young, where he was the Mountain West Conference co-Player of the Year in 2008. This dynamo played only two years at Mesa, but he left a lasting impression, especially in his final high school game, scoring 58 points in a Division I semifinal loss to Phoenix Brophy Prep. Almost every game he had at least one dunk that electrified the crowd. He was a two-time All-Arizona player, who was named Big Schools Player of the Year his senior season when he averaged 32.2 points. He had 1,434 points in his two years at Mesa. He made an impact after sitting out his first year at Arizona State to get his academics in order. He is now playing professionally in Australia. He led the Jackrabbits to the state championship his senior year, scoring 28 points and grabbing 10 rebounds in the final against Tucson Sahuaro. He holds the school record for career blocked shot with 250 from 1986-88. He had 142 blocked shots during his senior season. He was not only a shot-blocking machine who altered many a shot in his Mesa career, but he was a ferocious rebounder and finisher around the basket. 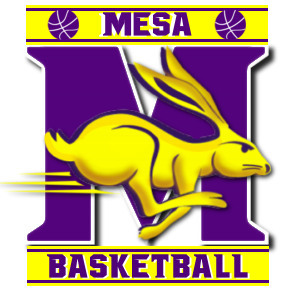 Whenever Mesa needed a clutch basket and stop down the stretch in the state tournament, Van Dyke delivered. He ended up playing in 127 games at UTEP from '88-92, and helped the Miners reach the NCAA Tournament. As tough a player to ever go through Mesa, Fuller averaged 24.7 points, 11.6 rebounds and two blocks his senior year when he was azcentral sports' Big Schools Player of the Year. Fuller played with a chip on his shoulder after going through the summer before his senior year without a major college offer. He ended up going to Iowa, where he averaged 9.7 points and 6.2 rebounds in 30 games in 2009-10. He averaged 12.3 points and 9.7 rebounds in Big Ten Play. He transferred to USC, where he was just as tough around the basket. A great finisher who never stopped hustling. He was a junior on Mesa's 2004 state championship team, making the final four free throws in the final 35 seconds to help hold off Phoenix Desert Vista 56-46 in the final. He was a workhorse, did whatever it took to help his team win. Whether it was busting through a pick to make a defensive play or scraping the glass for a put-back, Hatch delivered. He was like that in college at Wichita State, where he had a solid career. Perhaps the greatest highlight of his college career was helping Wichita State win the National Invitation Tournament, scoring 12 points and making all four of his 3-point attempts in a 66-57 win over Alabama at Madison Square Garden in New York. He was named the tournament's Outstanding Player. Lightning quick with good shooting range, he averaged 22.6 points and five assists his last year at Mesa. One of the greatest defenders to come through, but had huge growth spurt after high school was a junior college All-American at Mesa Community College. Another big part of that 2004 state championship team, coming up clutch late in the state final. Scored 601 points his senior year, fourth-most in a season in school history. Still hold schools record for most rebounds (319) in a season.